If you are of African descent, then you probably know someone who has sickle cell anaemia, or worse, who has died from it. You may also know or be connected in some way to someone who has or has died from leukaemia or lymphoma. Sickle cell anaemia is one of the prevailing conditions many Africans are likely to face and it causes a significant number of deaths on the continent due to a lack of adequate treatment. This is increasingly common, since blood diseases like sickle cell anaemia and cancers such as lymphoma and leukaemia are on the rise in Africa and are causing a significant amount of deaths across developing countries. Last year, The Economist reported findings from the International Agency for Research on Cancer which showed that people in low income and middle income countries make up 57% of the 14 million people diagnosed with cancer in 2012 and 65% of the deaths from it. In 2013, NPR reported findings from the PLOS Medicine journal that predicts that by 2050, the number of babies born with sickle cell anaemia will rise to 140,000 and 45,000 per year in Nigeria and the Democratic Republic of Congo, respectively. The issues of poverty and lack of adequate health infrastructure in the continent contribute significantly to these deaths. Reports have shown that non-communicable diseases (NCDs), such as cancer, will be the most common cause of death in Africa by the year 2030. The bone marrow transplant is the only confirmed and accessible cure for numerous blood cancers and for sickle cell anaemia. 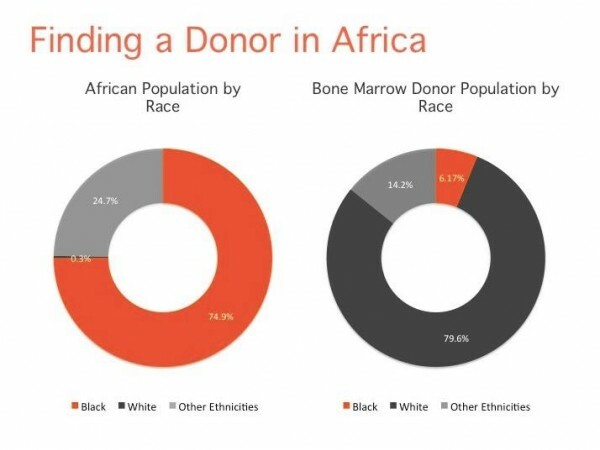 Unfortunately, a lack of African bone marrow donors is a main issue for blood cancer/sickle cell patients of African descent in need of bone marrow transplants. That is where Ara comes in. 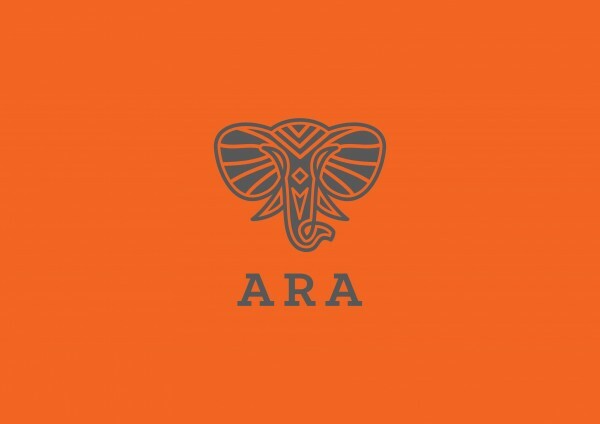 Founded in 2014, Ara is a grassroots volunteer initiative aimed at combating blood cancers and sickle cell anaemia in Africa by recruiting bone marrow donors and promoting cancer control advocacy. Ara’s main goal is to recruit 30,000 African bone marrow donors on the African bone marrow registries by December 2018. Ara also serves as a community to support and inform cancer and sickle cell patients, survivors, and their families. Ara hopes to ultimately contribute to making blood donations commonplace in many African cities. Right now, the United States has the world’s largest bone marrow registry: 3.34% of the U.S. population is registered as a bone marrow donor. Ara reports that this is more than 500 times the amount of registered donors in the African population: Only 0.006% are registered on the Nigerian and South African Bone Marrow Registries—the only internationally accredited registries in Africa. 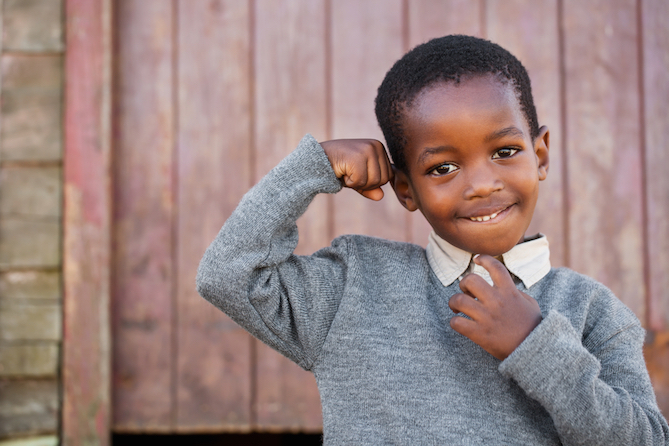 Ara sees it as a critical duty to recruit thousands of bone marrow donors of African descent so that blood cancer and anaemia patients will have a higher probability of finding a match and a greater likelihood of recovery. Ara will be launching its first drive on the December 21 in Lagos, Nigeria, and is working with DKMS to raise awareness and to recruit the first 2,000 donors. The drive promises to be a fun-filled and educational event with food, music, presentations, and much more. For more information on Ara or how you can get involved, visit their website or Facebook page. Learn more about Global Goal 3: Good Health and Well-Being, then pledge your voice in support of the Goals!